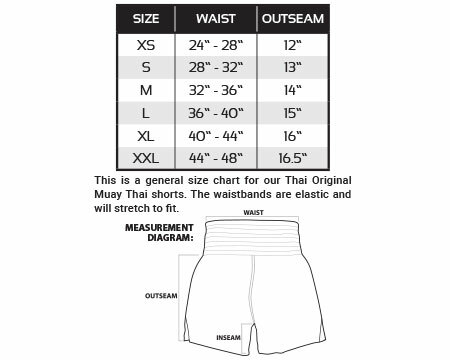 Thai Original Muay Thai Shorts by Revgear are made in Thailand and found in gyms all over the globe! Perfect for any martial artist looking for comfortable and versatile training gear but specially designed for those training in Muay Thai and kickboxing. The lightweight polyester satin and the wide waistband contribute to this short's traditional style and appearance. Also available in black, blue or red. Pair these with authentic Thai gear from the Thai Original line from Revgear.